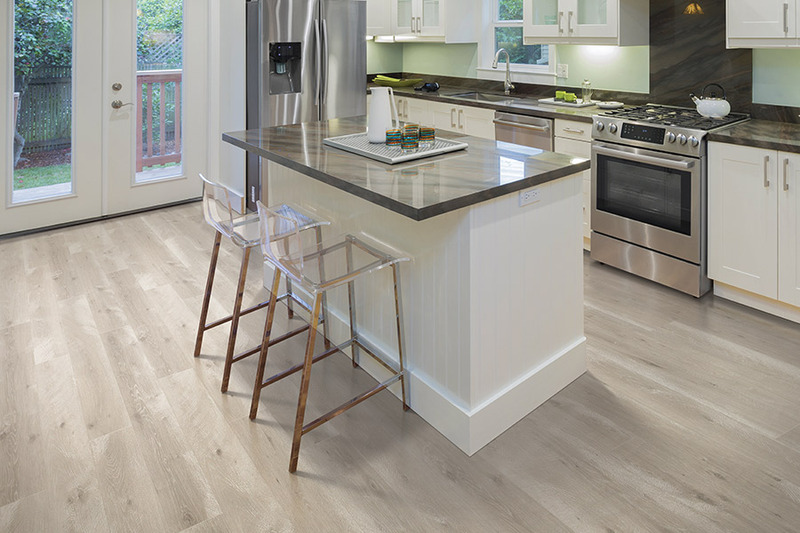 Bell's Carpets & Floors' customers are amazed at the way laminate flooring captures the sophisticated design and beauty of natural stone, tile, and hardwood. They really like the fact that the look can be achieved at a fraction of the cost of those options. 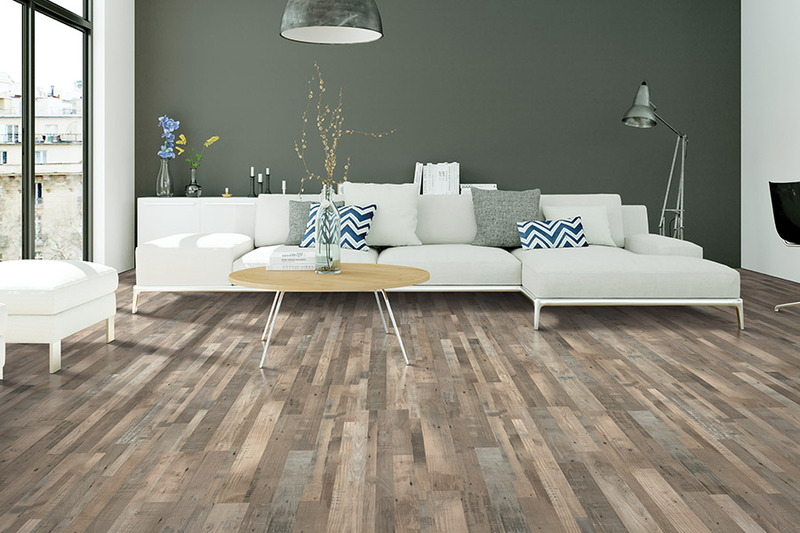 To make the choice a little easier, here are some of the top qualities of laminate flooring. The decorative layer of quality laminate has a highly detailed, high-definition photographic image that realistically simulates the natural texture, grain, and color of material look-alikes. The embossing makes visuals look so authentic; the laminate is often mistaken for real wood or stone. The remarkable durability and strength of laminate are due to the fusion of composite materials in a unique manufacturing process. The best laminate has a protective surface layer that resists dents and scratches from high heels, chairs, and pets. The top layer also protects against fading, wear-through, and stains. An inner core, below the photographic layer, keeps laminate flat and stable. 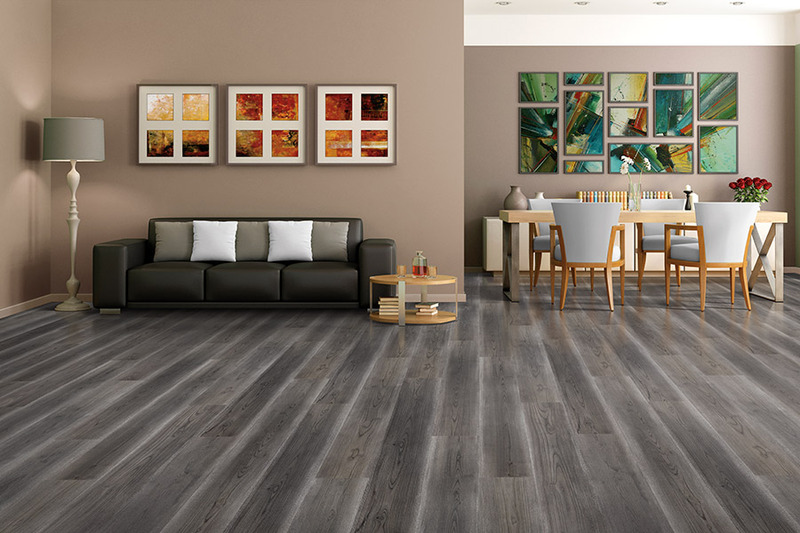 An advanced resin material is used in the manufacture of high-end laminate flooring. That material provides superior moisture resistance and stability. Sound absorption of laminate makes it an ideal option for bedrooms. The bottom layer creates a barrier against moisture that prevents warping. 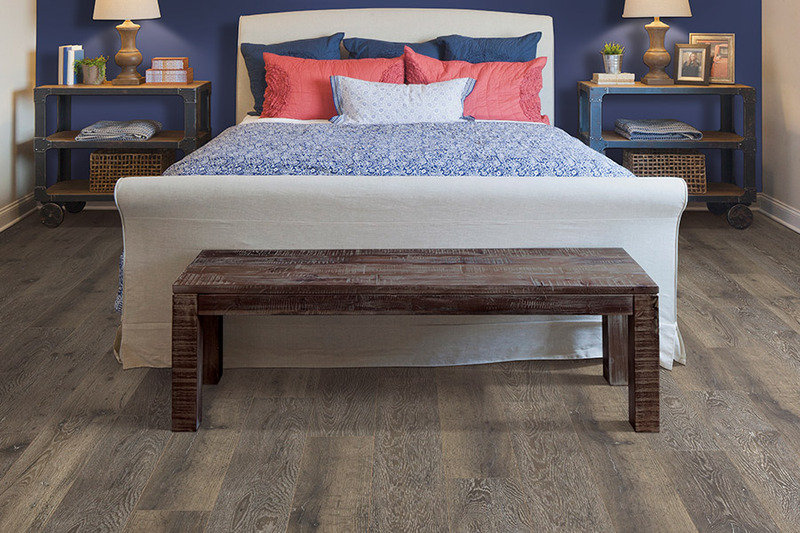 The layered construction of laminate makes it perfect for every room in the home. Quality laminate is thick and dense. It sounds and feels like hardwood when it is walked on. Board thicknesses between eight and 12 mm are best. The installation method is a two-step process that requires no fasteners or glue. DIYers have no problem with installation. The floor 'floats' over the subfloor. That feature allows the laminate to contract and expand with the humidity and temperature of the home. 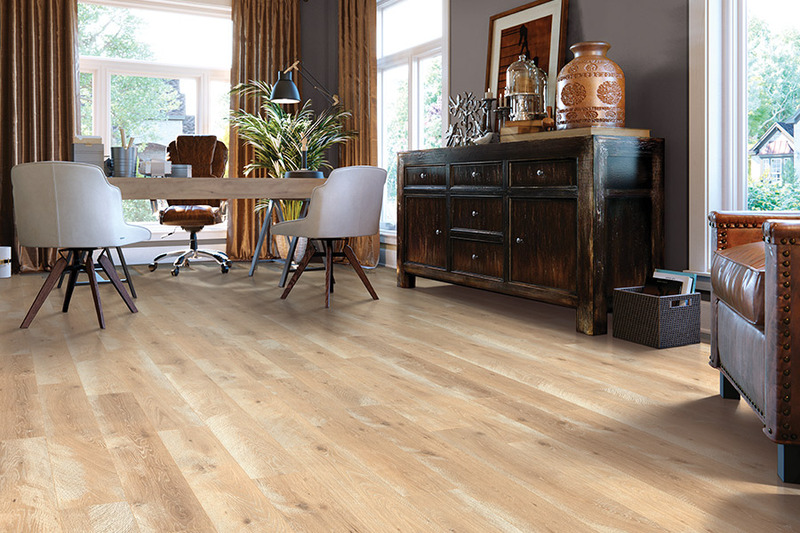 While the laminate is easy to install, some of our Cary, Chapel Hill, Clayton, Durham, Garner, Raleigh, Wake Forest and Zebulon customers prefer our Bell's Carpets & Floors installers to complete the task. Our installers are certified, highly trained experts who will install laminate in what seems like no time at all.